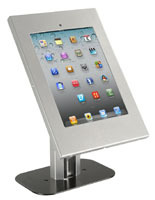 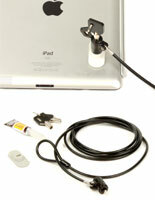 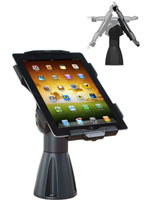 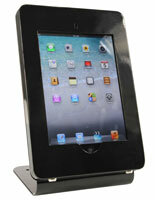 These locking countertop iPad stands are great for digital advertising and other commercial uses. 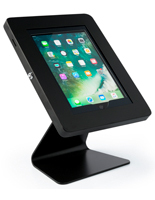 What unique attributes do these metal table holders have? 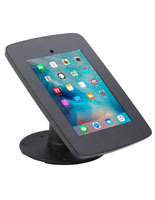 First, the countertop iPad stands have a series of security features that make the display theft proof, including their double fastening design. 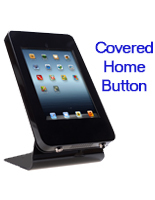 Second, the base features four pre-drilled holes so advertisers can easily bolt the unit to their counter. 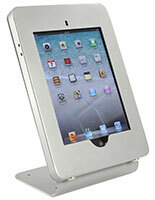 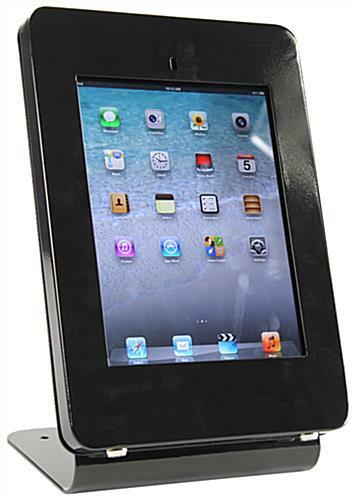 Additionally, the iPad stands' steel and aluminum construction ensures potential thieves cannot break the enclosure. 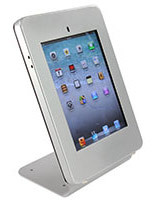 The holders have a portrait orientation and are angled at 25°. 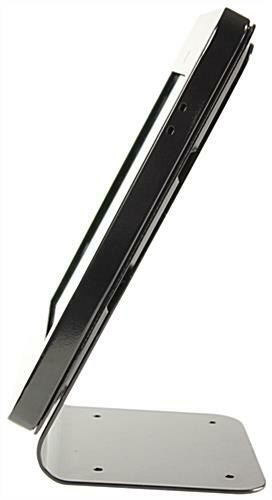 8.3" x 12.5" x 7.0"